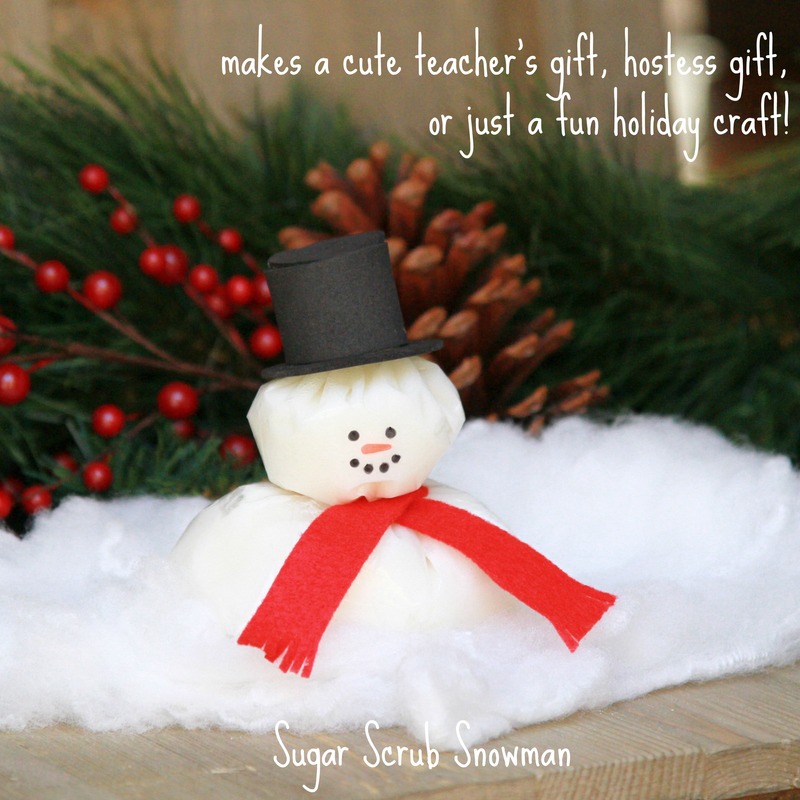 Let’s get crafting and make this super cute gift for your favorite teacher or to bring along to a holiday party! Be sure to melt coconut oil but bring it back to an opaque state by cooling and then add in the grapeseed oil and essential oil, and then add sugar. If you add the sugar in when the oils are still liquid it will melt. 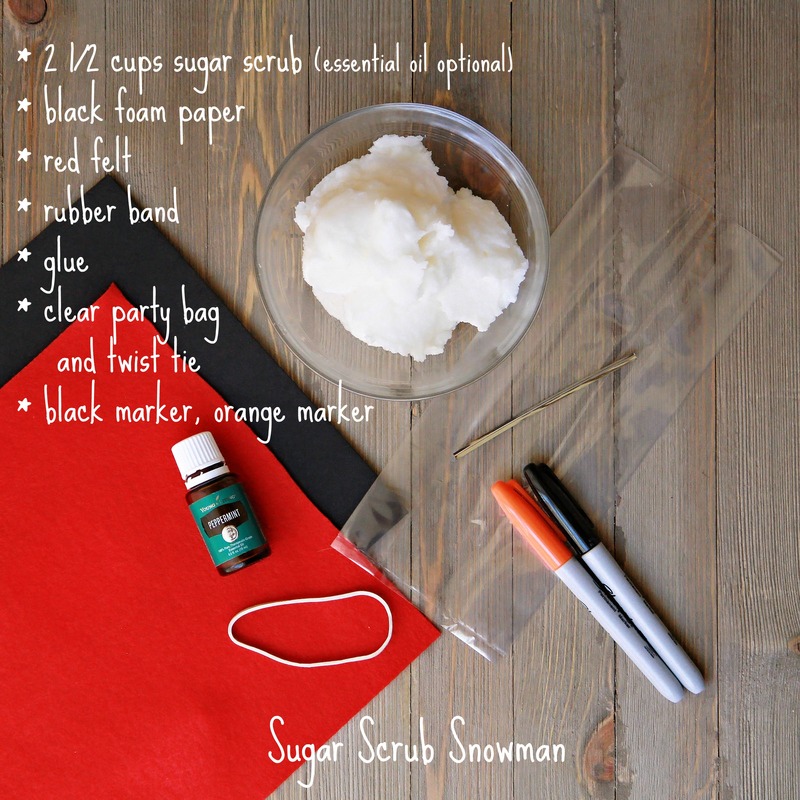 Add your scrub to your party bag. 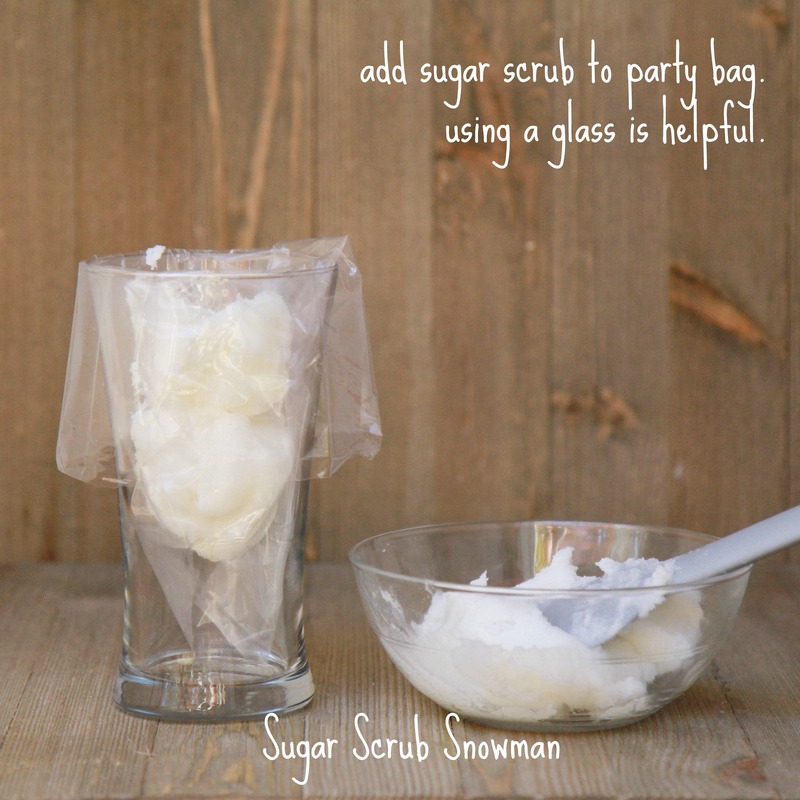 Using a glass helps keep the top of the bag neat and clean! 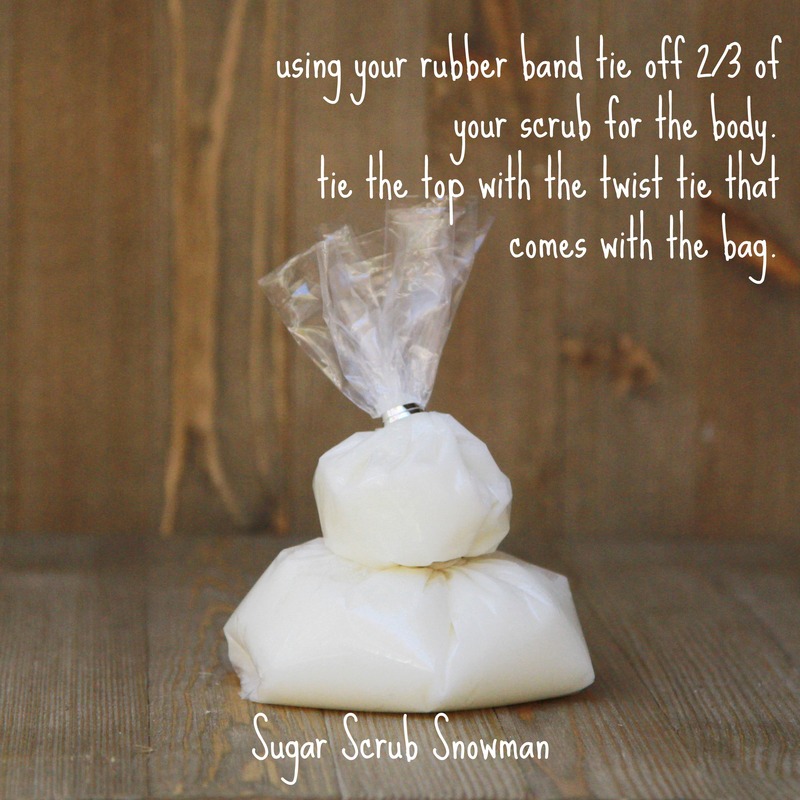 Using your rubber band tie off 2/3 of the scrub for the *body*, and then tie the top off with the twist tie that came with the bag this will be the *head*. 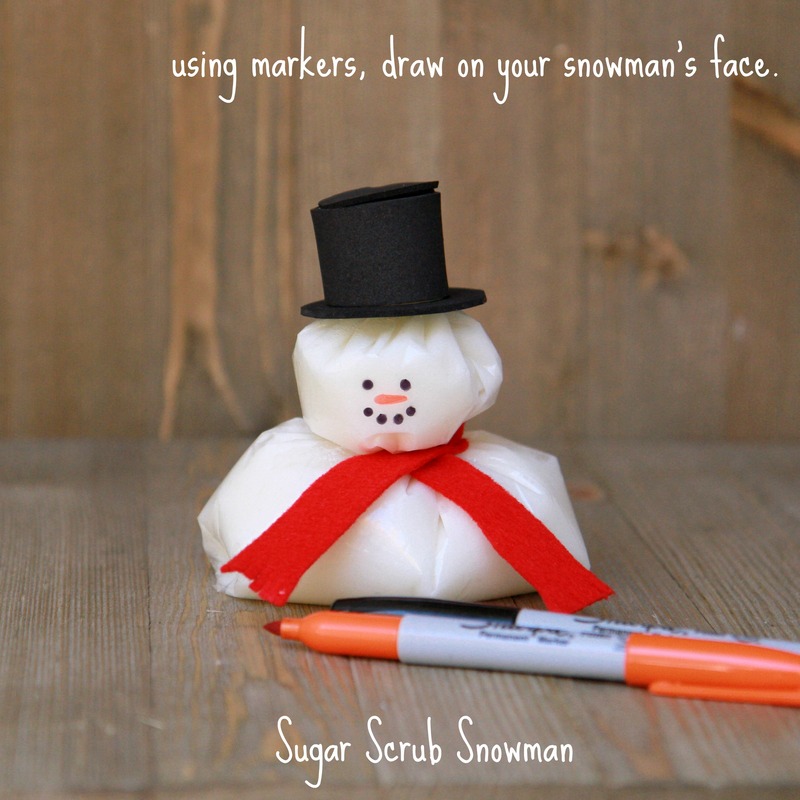 Be sure to “work” the bag to give you a flat surface on the face so it will be easier to draw on. Cut 1/2″ strip from the red felt to use as a scarf. You can use any strip of fabric and add adornments! You can even use to scarf as a To:/From: label! Don’t stress about the hat! Cut out a circle, and then a smaller circle from the inside of that circle, and a rectangle (the rectangle has to be at least as long as the diameter of the smaller circle!). The width of the rectangle will determine the height of your hat. 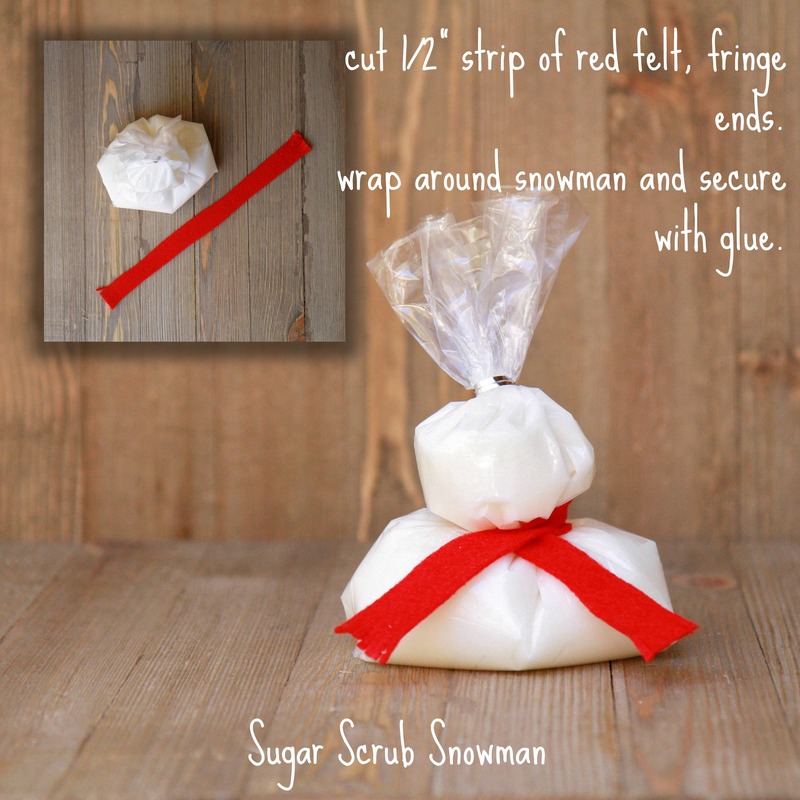 Wrap the rectangle into a cylinder and secure with glue. You will need to pin or clip while it sets. 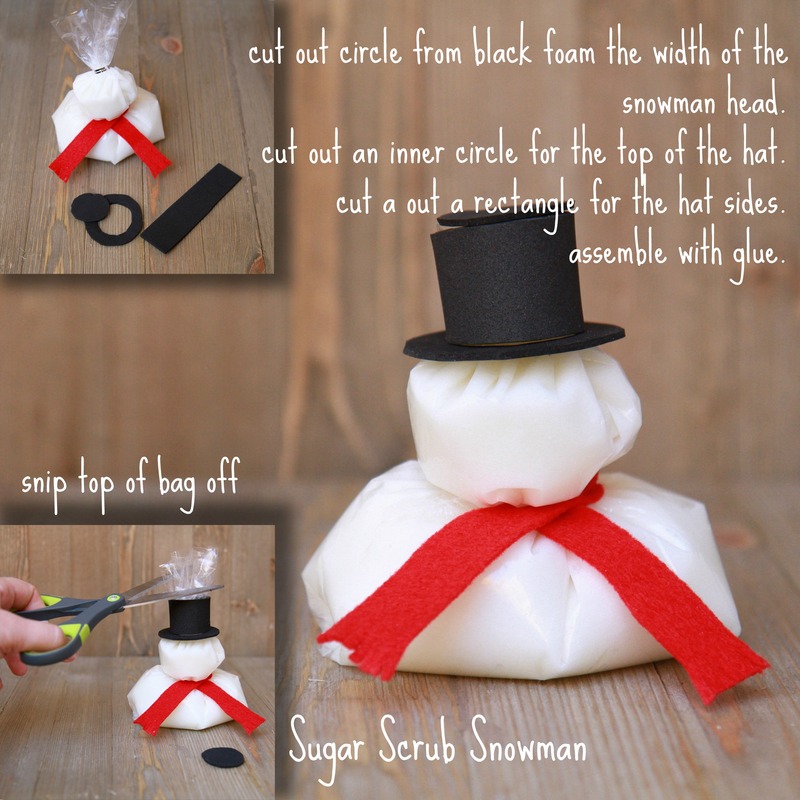 Then glue it to the large circle, (now a ring) and the smaller circle, and then glue or attach to your snowman. Be sure to snip the top of the bag off so your hat fits on comfortably! So easy! 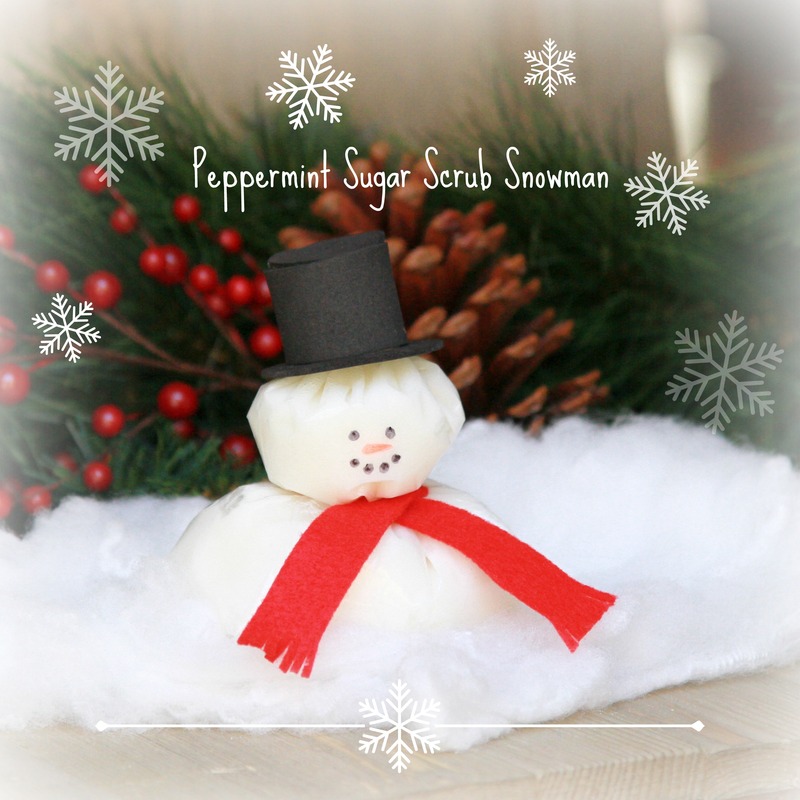 Get creative and give your snowman any face you’d like! You can even add a corncob pipe!